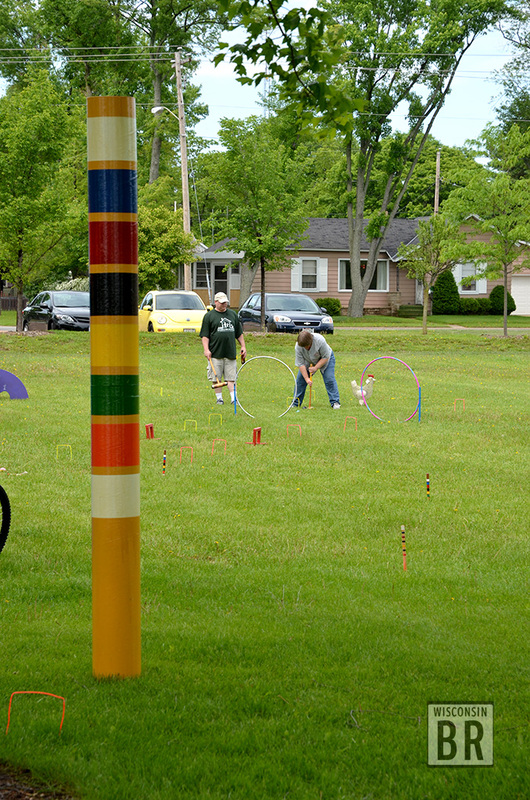 Croquet: the game of Queens and lighthouse keepers, or at least the game for people with large, smooth lawns. But croquet in its pure form can get a little mundane. But what happens when you add some large obstacles, physical challenges, and copious amounts of alcohol? 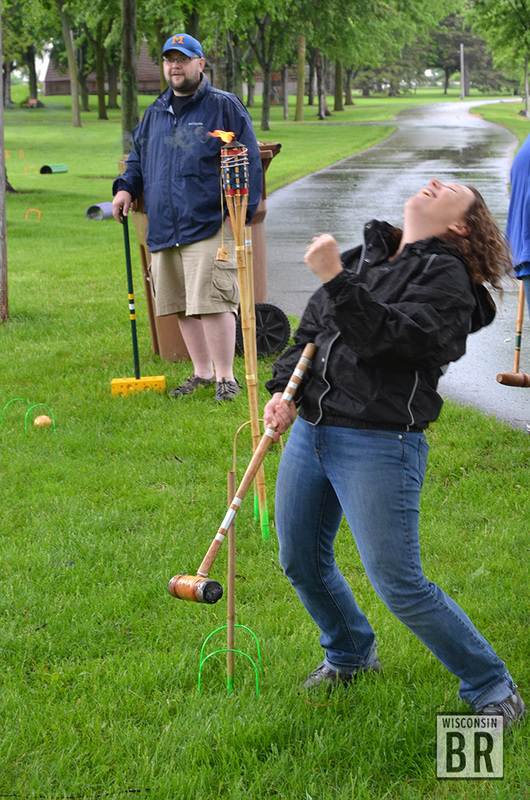 The International Federation of Drunken Croquet & Trivia Champions Tourney 2013. This annual event, held in Stevens Point, WI brings together fellow trivia players that otherwise compete in annual WWSP 90FM Trivia Contest for a more social competitive venture. 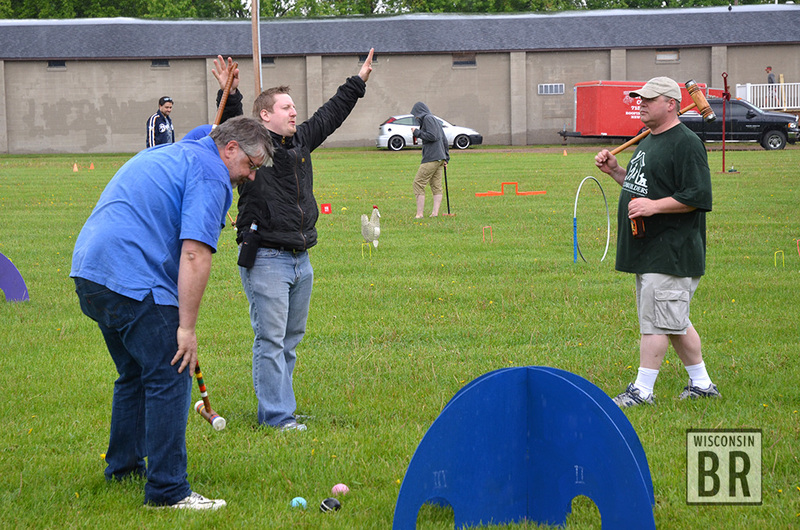 Instead of the standard wickets and pegs, the tournament features four wildly challenging courses consisting of 10 foot pegs, giant walk-through wickets, see-saw wickets, ramps, obstacles, and devices that launch your ball dozens of feet downrange. But playing the game isn’t enough, add to mix alcohol, wacky gameplay, action cards, and trivia questions (these people are trivia buffs) and you have an afternoon of merriment that even rainy skies couldn’t dampen. Participation in the IFDCTCT, which happens in early June, is by invitation only. But spectators are encouraged to stop by Piffner Pioneer Park in Stevens Point to cheer on the competitors. Editor of the BackroadWisconsin site; Michael is an avid cyclist, traveler, and adventurer.